If you've already discovered the benefits of organic food, the next natural step in your quest for a healthier lifestyle may be purchasing organic items for your home. At LoveToKnow Organic, you can find a variety of helpful articles designed to help you choose the products that best fit your needs. If you suffer from allergies or have very sensitive skin, investing in organic bedding is a great way to improve the quality of your sleep. 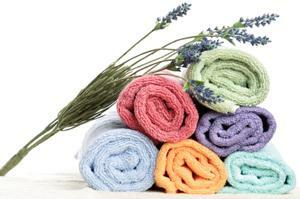 Organic wool bedding will keep you warm in the winter and cool in the summer while helping to eliminate dust mites. Solus organic bedding, including mattress covers, can also be useful for blocking mold, bacteria, and other harmful allergens that prevent you from getting the rest you need. Being environmentally responsible is possible in so many different areas of your life now. If you sew you can find organic fabrics and sewing materials. Making your own cleaning products will not only save you money it is good for the environment as well. There are new organic products developed and made available every day. LoveToKnow Organic's team of expert writers and editors is here to help. Every time you visit the site, you'll find the independent, well--researched information you need to make informed decisions about the products you buy for you and your family.